It's a sign that the frantic construction pace of the past two years that we only have three projects coming out of the ground, and only one where excavation is stlll underway (One Hill South 2). A breather will be nice. That said, there are still nine other projects that are in the getting-their-faces-on stage of construction. So let's look at the National Association of Broadcasters HQ (and its sibling Avidian condos to the rear) at South Capitol and M, the Funnel on Half Street (aka West Half), the combo project of the Estate apartments at 3rd and Water by the Yards Park and a Thompson hotel at 3rd and Tingey (shown in closeup because I dig the windows), the second phase of Novel South Capitol, Parc Riverside Phase 2 at Half and L, and the Garrett at 2nd and K. The last photo in the bunch is 1250 Half, which is both a still-rising skeleton on its southern end and a face-being-put-on project on its northern end, completely mucking with my flow. Still under construction as well are residential projects the Harlow and the Bower condos/Guild apartments, but I didn't take any updated photos because their exterior work is mostly done. Plus I might have collapsed. Tired out by this? Now you know why I for the first time grabbed a scooter to cover all of the territory. Speaking of the new Douglass Bridge, if you go to the official web site and scroll down to Project Gallery, you will see what I think is a new animation of the new bridges and ovals and whatnot. 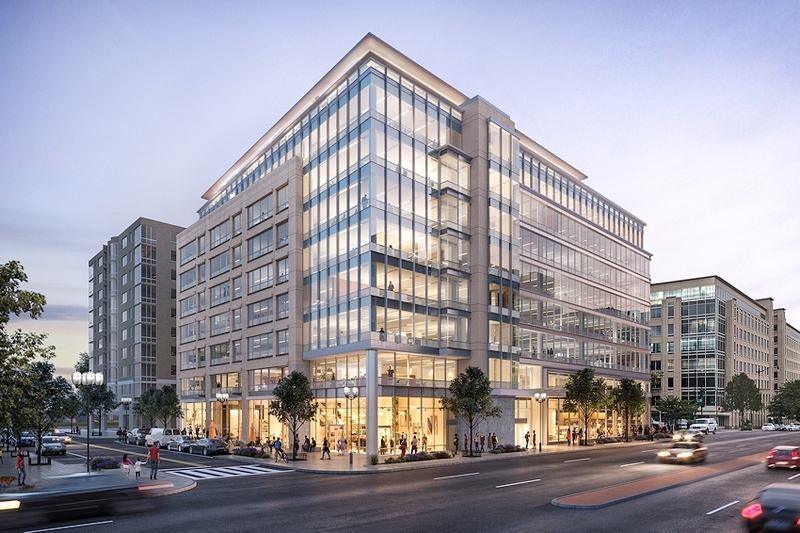 As for what's on the boards to get underway in 2019, I'd say that the most likely contenders are the new DDOT HQ at 250 M and Lerner's 1000 South Capitol Street residential building, and maybe one other I will write about soon. As for others? We Shall See. I also belatedly have added the GSA warehouse at 49 L to my Demolished Buildings Gallery, as #181. That's a lot of demo. It also looks like construction is going to begin any minute on the new DDOT headquarters. The sidewalk is torn up and there are concrete barriers and a fence. Thank you for all the updating. Great work! Does Parcel L have a fancy name yet? Also is it just me or does the exterior make the building look really cheap? Fencing around the Bower came down yesterday. @JD thanks, not sure how I missed that. There is a session today at the annual Transportation Research Board conference about commuter ferries, including a discussion of the feasibility of commuter ferries in the DC region. I will report back on any mthing relevant for the Capitol Riverfront. Does anyone know if the Metro chiller site condo project is still in the works? It seems to have evaporated. SWneighbor - one thing is for sure, no one bothered to shovel, or salt, those sidewalks...or those around the former GSA warehouse. Great update. Any news on the new humane society building at 11th and M? i talked to the guy at Kim's Custom Tailor last week. He has to be out of his space by the end of March. It sounds like they are taking down that entire block. He is moving to a place on L, right off of 8th. BTW, he moved to his current location about 15 years ago when he lost is space at the Waterside Mall because of redevelopment. Just got a note under the door saying that 70 and 100 capitol yards are now under the management of Greystar effective ASAP. Have there been any buildings completed such that move-ins have begun since the Agora and 1221 Van which opened last January and February? It looks like the Bower and the Harlow are getting very close to completion but it doesn't look like move-ins have quite begun yet. West Half looks like they might have move-ins by Opening Day, too. @Stax, forgot to reply to you on the Humane Society. I'm actually shocked to hear that--I thought I had heard somewhere they were having second thoughts about that block. I guess We Shall See! @Section314: The first wave of lower floor Boweristas expect that their punchlist walkthrough inspections will be scheduled in a few weeks, and that they will be delivering their wheelbarrows of cash to Monty Hoffman and storming the ramparts as early as a few weeks afterward.